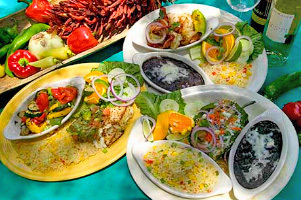 Mexican Cuisine — The El Encanto menu is authentic handmade Mexican Cuisine with specialties from regions all over Mexico, including daily fresh fish specials. All of the Mexican Cuisine at El Encanto is authentic and handmade, from the freshest ingredients, and is considered by many to be the best Mexican food in the Valley. The cantinas carry more than 40 different tequilas that can be sampled in flights, and a distinctive wine selection from Mexico, Spain, South America, California and Oregon. The Cantina Tapas menu offers a selection of smaller, more specialized items to the bar clientele. 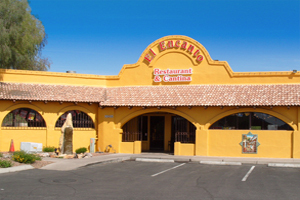 Owners Bill Nelson and his daughter Christine have tried to create an authentic Mexican atmosphere in which to enjoy similarly authentic and in many cases unique to Arizona Mexican specialties. All accompanied by a knowledgeable and welcoming staff eager to ensure each guests complete enjoyment.